I recently was given a Silhouette Portrait. I’ve been going back and forth about having one. 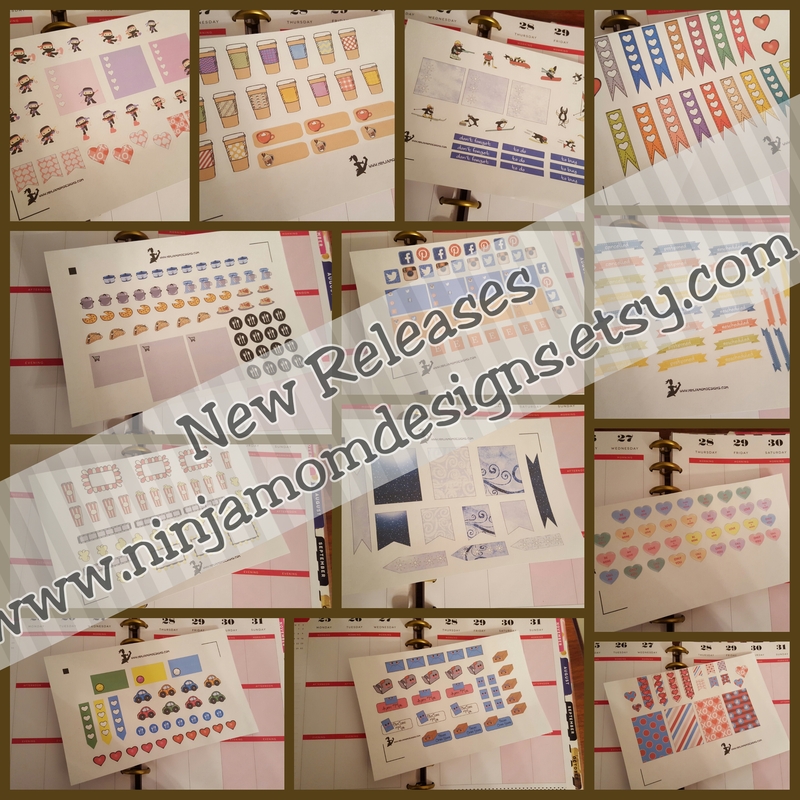 I have liked that my shop has been primarily digital items. It makes my life so much easier, to be honest. However… the idea of being able to make custom stickers just sounded like too much fun. I’ve been paying attention on the facebook groups and Instagram. I’ve been trying to find out what you guys want. I’m happy to announce the newest addition to the Etsy Shop– custom stickers… that’s right. Actual Peel and Stick stickers– already cut for you and ready to go! Several new sets have been added to the shop. And I’m quite certain several more are on the way! How cute are these Happy Mail Stickers???? Keep track of all your mailing needs! Super functional- You’ve spent all that time decorating and planning only to have something cancelled or postponed. Don’t lose the decorating mojo when you have these on hand! This set might just be my favorite!!! Now I need a movie night to plan! 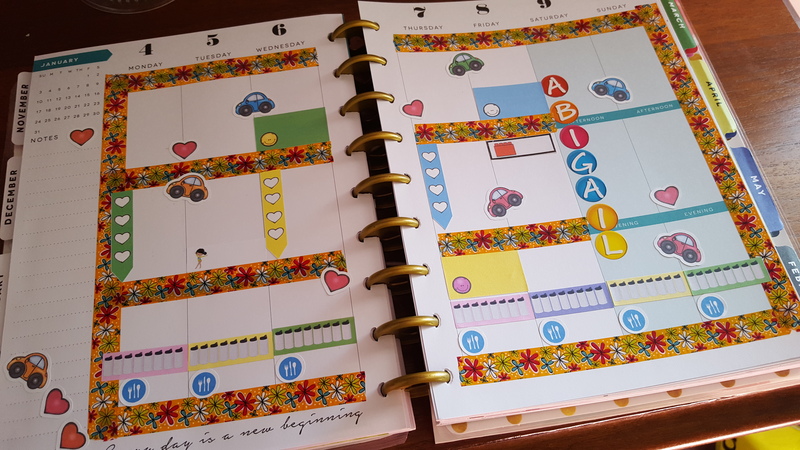 Finally- Here’s my next week’s layout using the VW Bug Happy Day set and Hydration stickers from the shop. 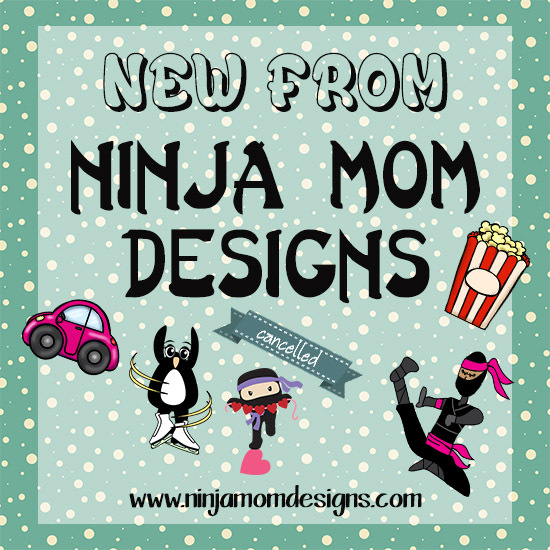 What custom stickers would you like to see from Ninja Mom Designs? Just for you, my lovely readers, spend $5 or more and get FREE SHIPPING!!!!! Use FREESHIP when you check out (US Residents only). OR Use NINJA20 to save 20% on your order.